Microsoft filed a landmark lawsuit against the U.S. Department of Justice on Thursday, taking a stand against the way federal agents routinely search its customers' personal information in secret. The company accuses the federal government of adopting a widespread, unconstitutional policy of looking through Microsoft customers' data -- and forcing the company to keep quiet about it, sometimes forever. Over the past 18 months, federal judges have approved 2,600 secret searches of Microsoft (MSFT) customers, according to the company. And in two-thirds of those cases, Microsoft can't even notify their customers that they've been searched -- ever -- because there's no expiration date on these judicial orders. "Microsoft brings this case because its customers have a right to know when the government obtains a warrant to read their emails, and because Microsoft has a right to tell them," the lawsuit states. At issue here is the 1986 Electronic Communications Privacy Act, which creates a double standard when it comes to a person's right to know when police are rummaging through their stuff. Normally, a person must be told when police -- with a search warrant -- search their home to look for clues to a crime. Nowadays, people keep lots of email, notes, contact lists, and pictures on computer servers at Microsoft and elsewhere. Under this 1986 law, police can get a special exemption to search those computers and keep the company from informing its customers when law enforcement has ordered a search. "People do not give up their rights when they move their private information from physical storage to the cloud," Microsoft says in its lawsuit. "The government, however, has exploited the transition to cloud computing as a means of expanding its power to conduct secret investigations." A spokeswoman at the Department of Justice said it is reviewing the lawsuit. Federal agents appreciate the secrecy of these searches, because it doesn't tip off a person when they're under investigation. However, as Microsoft notes in its lawsuit, these searches remain undisclosed even after cases are closed. "One of the most basic promises of our Constitution is that the government must notify you when it infringes your rights. For years, the government has skirted that obligation by seeking our sensitive data from tech companies without providing notice," said Alex Abdo, a staff attorney at the American Civil Liberties Union. In its lawsuit, Microsoft claims that federal agents have been violating the company's First Amendment right to speak to its own customers, as well as their customers' Fourth Amendment right to know when they're being searched. This lawsuit also notes the odd, modern distinction that the government makes between searching your computer -- and searching your information on a company's computer. Law enforcement agents often remain covert when they dig through information stored on company data backup services. The most privacy-conscious companies reveal this in transparency reports. For example, Apple says it gave American police access to 1,407 customer iCloud, iTunes and Game Center accounts in the first half of last year. This is how the FBI quickly got access to search through the iCloud account of San Bernardino shooter Syed Farook. The Fourth Amendment protects a person from all types of "unreasonable searches and seizures." Law enforcement frequently takes advantage of an exception, called the "third-party doctrine," which says that a person can't expect privacy when information is disclosed to a third party. But that exception doesn't always apply to electronic data stored for safekeeping online. "So far, courts have ruled that a person's Fourth Amendment rights still apply to their email," said Orin S. Kerr, a legal scholar who teaches at George Washington University Law School. Microsoft has taken stands over customer privacy in the past. Microsoft is currently fighting the DOJ, saying it doesn't have to hand customer information it stores in Ireland over to American law enforcement agents unless Ireland gives the okay. But this lawsuit is different, because it confronts the secretive tactics adopted by U.S. law enforcement in recent years. In 2014, Yahoo beat the federal government in court, allowing companies to publicize mass government data collection. 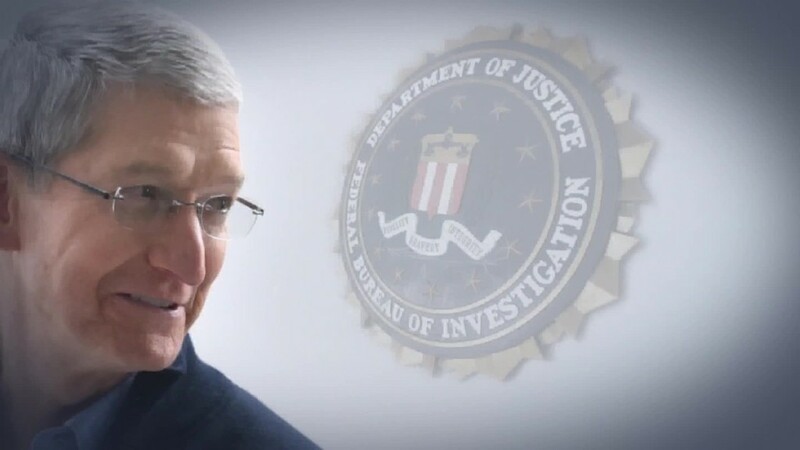 This year, Apple fought off the FBI's attempts to force it to unlock a terrorist's iPhone.